Quote: This week was marked by the release of a couple of decryptors as well as numerous variants of existing ransomware and new smaller variants. Strangely, someone released a Pacman themed ransomware. Of particular interest is Norsk Hydro releasing a video documentary about the people who discovered that they were infected with the LockerGoga ransomware. Definitely an interesting and refreshing method that they are using to handle this security incident. The vxCrypter Ransomware could be the first ransomware infection that not only encrypts a victim's data, but also tidy's up their computer by deleting duplicate files. The City of Albany, the capital of the U.S. state of New York, was hit by a ransomware attack on March 30, with city officials working over the weekend to respond to the incident. F-secure released a decryptor for the Planetary ransomware variant that appends the .Mira extension. MalwareHunterTeam found a new ransomware called.... Pacman. 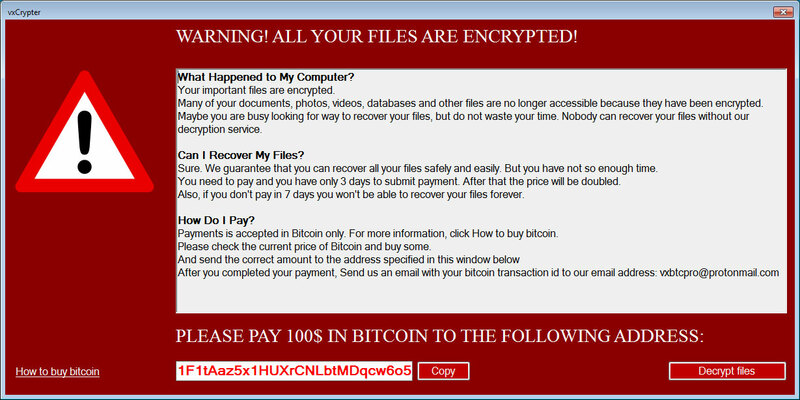 This ransomware prepends encrypted before the original extension. A report by Chubbs "examines the emergence of new #ransomware and #malware strains, including Emotet, Ryuk, and Credential Stuffing". In a unprecedented move, Norsk Hydro created a documentary-like video about the employees who discovered they were infected by LockerGoga. Current time: 04-18-2019 , 06:12 PM Powered By MyBB, © 2002-2019 MyBB Group.